Previously, this site was powered by Drupal and now is a HTMLy powered site, a web publishing platform without database or can be referred to as a flat-file CMS. 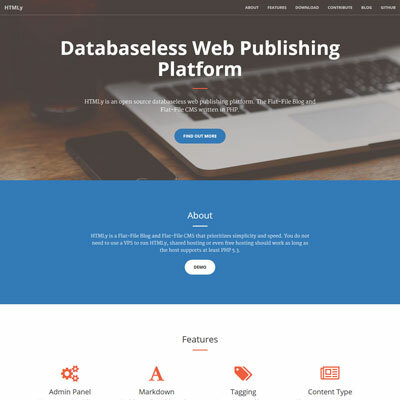 HTMLy is an open source databaseless web publishing platform. The Flat-File Blog and Flat-File CMS written in PHP. The HTMLy creator; Danang Probo Sayekti aka danpros is the founder of Danetsoft, so moving to HTMLy is a wise choice for us since we know the system completely and will cut-off the developments time drastically.